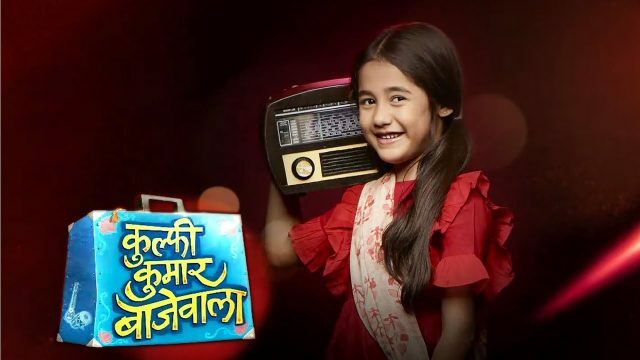 In Kulfi Kumar Bajewala 16 April 2019 episode we see that Amyra is upset from her mother Lovely. Kulfi Kumar Bajewala is the most trending serial of Star Plus. There is a twist in the episode, where Lovely come inside the room just to hurt Kulfi. Where on one side Kulfi and Amyra became friends and Miya took the advantage and spoiled their friendship. Kulfi and Amyra have planned to sing together, and on the other hand, Amyra refuses to sing, and Kulfi also denied to do the same, but they both have to sing along because if they refused to sing, they would be out from the show. In Kulfi Kumar Bajewala 16 April 2019 episode we see that Amyra is upset from her mother Lovely and she says that mom this is not for the first when you are sending Kulfi away from me, and I request you please send dakku deda and this dirty girl away so that she cannot sing with me. Lovely get influenced by Amyra’s statement so that Amyra and Kulfi cannot perform together, and then she approached Kulfi with bad intentions, and it can be possible that Lovely will play some game with Kulfi so that she cannot perform in the show with Amyra. In Star Plus Kulfi Kumar Bajewala there is high voltage drama going on which you just can’t miss if you are a true fan of the serial. There is so much happening in the show; It would be exciting to see what is going to happen in the next episode. Now Kulfi is in big trouble and viewers are excited to know whether Sikander will get to know about all this drama. What will happen next? Will Sikander will help his daughter and how Kulfi will manage to get out of this problem. Stay tuned with us for all the latest updates of your favorite show Kulfi Kumar Bajewala and written episodes. Next articleKalank First (1st) Day Box Office Collection: Varun-Alia Movie Hit or Flop?